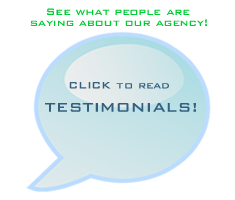 Why would you want to deal with a Florida health insurance agency? The answer is simple. Florida residents can save time and money on their health insurance coverage by working with an agency. You will want to be sure that you are working with an independent organization that works for you, as opposed to the insurance companies. If you are wondering where to begin, you can keep start by reading the information below. When you work with an independent Florida health insurance agency, you don’t need to deal directly with the insurance companies yourself. Rather than taking the time to contact each insurance company and wait for a representative from each one to get back to you, the agency does the leg work for you. An independent insurance agent is not restricted by working for one company only. You can sit down with someone who can ask you a series of questions designed to determine the right coverage for your needs. The agent will find out whether you need coverage for day-to-day medical expenses, like routine office visits, or if you are more concerned about having coverage for major events, such as surgery or hospital care. The agent will find out if you need to have coverage for prescriptions and/or dental care as part of your coverage package. The question of deductibles will come up during your discussion with the independent insurance agent. He or she will explain that you can save money on your premium rates by raising the amount of your deductible. You need to make sure that you feel comfortable with paying for a certain level of your medical expenses yourself each year before the insurance company will provide any benefits. The agent can help you calculate whether it makes financial sense for you to set a higher deductible and have lower monthly rates for your coverage or not. Another advantage of working with an insurance agency is that you have someone readily available who can go over your health insurance policy with you to explain all the terms and conditions. Since no policy will cover you in all circumstances, you need to understand what the policy exceptions are. It can be devastating to discover a lack of coverage in the midst of an already stressful accident or illness. The agent will explain the terms of your insurance policy to you in language that you can understand. Depending on the plan you choose, once you have paid your deductible for the year, you may still need to pay a fee for each doctor or hospital visit, as well as portion of the cost of your care. You can get an insurance plan that pays the full amount of your health care costs once you reach your deductible, but this will be more expensive than a plan that pays 80 or 90% of your health care costs. Be sure to ask the agent about the lifetime level of benefits the policy you are considering will offer you. As health care costs will continue to rise, you may want to consider setting the lifetime limit at $2 million or higher. In the case of a lengthy hospitalization or complicated surgical procedure, your health care costs will add up quickly. Once you have reached your lifetime limit for benefits, you will be responsible for any additional costs out of your own pocket. The Florida health insurance agency staff will also discuss your coverage options with you. For example, you may want to keep premium rates low. If you are prepared to give up some flexibility in the way you receive your medical care, then signing up with a Health Maintenance Organization (HMO) may be the right choice for you. Clients who want to be able to have more choices in their health insurance coverage and who don’t mind paying a bit more for their care may be interested in signing up with a Preferred Provider Organization (PPO). With this option, the best coverage is offered by health care providers who are participating in the plan’s network. Subscribers can also go out of the network for care, but they will be covered at a lower level if they do so. Get The FL Health Insurance Policy You Need! If the idea of shopping for health care coverage is daunting, consider working with a Florida health insurance agency. Or you can talk to an agent right now by calling the number at the top of this page. You also have the option of investigating your coverage options by using the free health insurance quote tool above. Just click on it and you can get started right away comparing free FL health insurance quotes side by side!